Intraoral cameras are excellent dental devices to increase patient awareness as well as boost case acceptance (Source). To the surprise of many dental professionals, an intraoral camera need not cost several thousand dollars! There are several high-quality intraoral camera options available on the market today for only a couple of hundred dollars. A high-quality intraoral camera will provide Crystal-clear image clarity, easily integrate with different image systems like Dexis, Apteryx & Schick, feature comfortable handling, and a bright LED around the lens (Source). The ProDENT digital intraoral dental camera is our top pick- it is compatible with windows XP, Vista, 7 and 8, comes with a one year all-inclusive warranty. Many dentists write of configuring it with a foot pedal to take pictures- mainly because the camera, while high quality, did not work with their EagleSoft software. Some dental professionals exclaimed that they were blown away by the quality of the images, especially considering the low price. Indeed, it seems that instead of having to spend $3,000 on one of these intraoral dental cameras, there are some affordable and top-quality options on the market today. Let's take a look at five of the best-selling intraoral cameras. 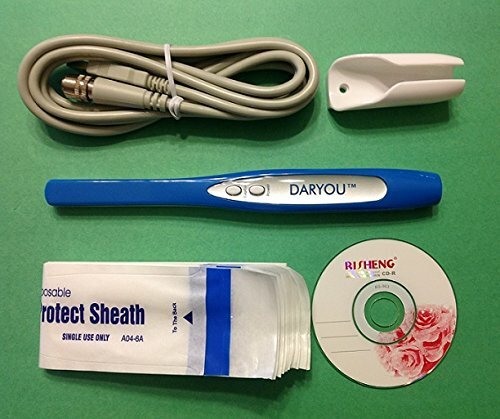 The DARYOU DY-50 directly connects with your computer’s USB- it enables you to take particularly sharp pictures of teeth. In addition, with the press of a button, you can freeze the images as well to have a better look. Users like that it has an automatic power function so that the camera can be turned off automatically. Keep in mind that it doesn’t connect directly with a TV. The image format is JPEG, which means that the image can be viewed with any program. It comes with its own image management software. One thing that most users liked about the Intraoral Daryou Camera was the software for image management that comes with it. Users of the Intraoral camera DY-50 also liked that the camera comes with an auto-focus option. Overall, the general user consensus is that the DARYOU DY-50 is a good camera because of its quality imagery and inexpensive price. One user of this intraoral camera shared his experience- saying that it was easy to use. However, a minority of users of the 5.0 MP Camera disliked the absence of the zoom option. A cheaper alternative to all the expensive cameras available out there for oral imaging, the ProDENT intraoral camera has a great autofocus lens. It also has an anti-fog lens so you don’t have to worry about fogging the lens when taking pictures. Users like the sleek design. It also includes a freeze option, an auto power-off, and super wide-angle viewing. The imaging software that comes free with the camera is compatible with numerous versions of Windows- though you should check in with the product page to ensure that it’s up to date for Windows 10. The general user consensus for this ProDENT Dental Camera is that it is a great product that produces great quality pictures while also being very affordable. Users of the Intraoral Camera loved the superior image quality. However, a minority of users had difficulty using the zoom functionality and had issues working with the editing software. While a minority of the users of the USB Dental Camera didn’t like the software that is included, the majority of the users didn’t require an editing function and therefore weren’t displeased by it. The MD740 FocusDent Camera offers images in 1.3 Mega Pixels. It is also very easy to use and can be plugged in a USB 2.0 port. It also works with various versions of Windows including Vista, XP, 7, and 8 without the need of any external driver- check the product page to see if it has become compatible with Windows 10! However, keep in mind the resolution worsens when the image is enlarged. It comes with a free imaging software with which you can edit. Images can also be saved. Other features include numerous LED lights, automatic focus, and an especially high sensitivity, all of which work together to produce a clear picture. Overall, users of the Apteryx FocusDent MD 740 generally liked the camera, and also recommended it for people who are looking for an affordable camera with good quality images. Users of the FocusDent MD740 liked how clear the images were. However, a minority of this intraoral camera’s users were disappointed with the resolution. One user of the FocusDent Apteryx camera shared his experience that the resolution of the images worsened when he enlarged the images. Another user of the 1.3 Mega Pixels Intraoral camera said that the imaging software kept on crashing. 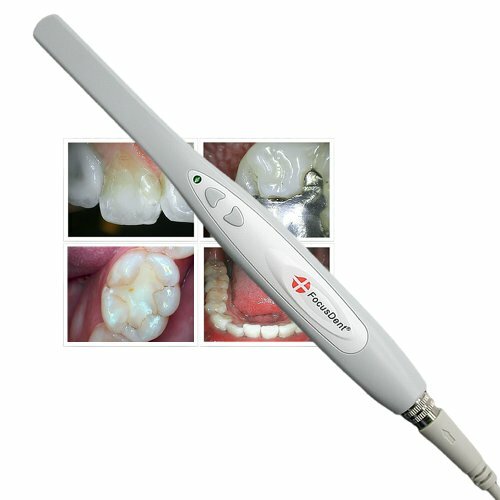 The pocket-sized AZDENT AZ-790U intraoral camera comes with numerous LEDs for great lighting. It also comes with a flexible, silicone cable. Users love its ease of use, writing that it provides them with clear images. Keep in mind that it is only compatible with its own software. It also has a reverse image button, capturing images in 2.0 mega pixels. The AZ-790 Intraoral Camera is an affordable option though some users have lodged some design complaints. The general consensus of the AZDENT’s users is that it is quite good for its price, and is recommended if you want a cheap yet a good camera. One user did complain that the camera sheaths refused to stay on, and instead started to slide off while using the camera. Another problem some people had was with its general shape- their hand moved when they tried to push the capture button, which meant that the picture came out quite blurry. Another user of the AZ-790U Dental camera said that even though the camera does work with most Window operating systems, it isn’t yet compatible with Windows 10 at the time of this writing. This Doc Royal Camera has a super-wide automatic adjusting-focus lens that users love for being easy to use and simply designed. Keep in mind that it doesn’t capture high-definition images. Its camera comes with imaging software with which you can edit and save the pictures you have taken. With the free software that ships with the camera, you can also compare as well as print the images. 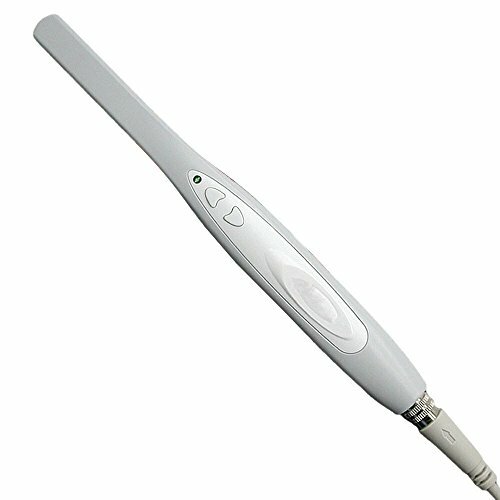 This intraoral camera also has an anti-fog and non-spherical lenses that help to ensure consistent image quality. The general user consensus is quite positive. Most users of this Doc Royal loved the robust feature set. However, one user of this Doc Royal intraoral camera did complain that the light was too bright and could also cause glare if there isn’t enough space. 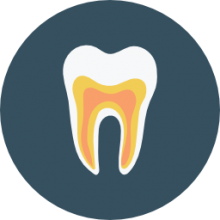 If you're looking to purchase an intraoral dental camera, check out the product pages for the individual camera to ensure that it will be compatible with the software you are running your practice. Even if it is not compatible, many dentists have used a foot-pedal as a workaround solution, writing that is an even more convenient way to take pictures than using the buttons on the camera itself. Customer service is also another important consideration. Since it's likely that you will end up purchasing multiple intraoral dental cameras over the lifespan of your dental practice business, becoming familiar with the manufacturers or the wholesalers is a great way to ensure getting the best pricing as well as the best support when new models come out.